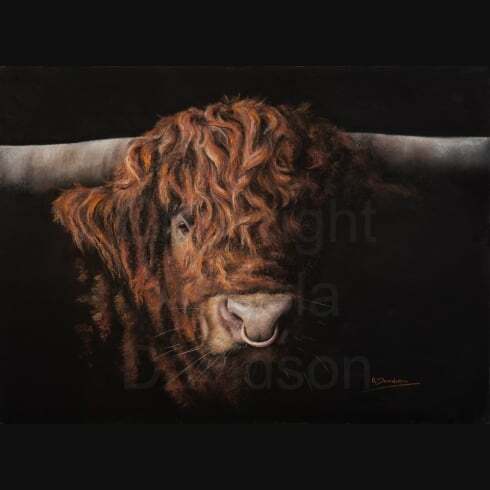 A Giclee Print Featuring a Highland Bull From Royal Deeside. 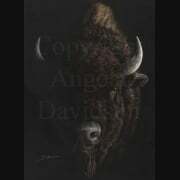 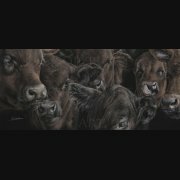 This bull, like its partner print Black on Black, came from the same Highland cattle fold near Aboyne, Aberdeenshire, and once again Angie worked her 'dark and mysterious' thing on it. 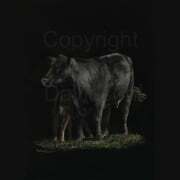 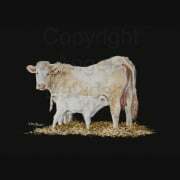 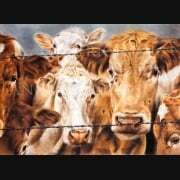 There's something about this breed of cattle that just seems right - don't ask me what it is; I know nothing. 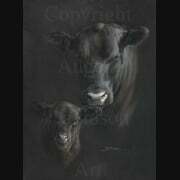 Maybe it's just that rugged looking cattle fit into a rugged landscape so well.